Calltracks provide call tracking & analytics software for SMBs through to Global Enterprise to help you understand what marketing channels make your phone ring, including the keywords your web visitors’ use. With the added ability to track offline sales and transactions generated from your calls, including those generated at a later date in-store, you can now get a full picture of your return-on-investment at the click of a button. Furthermore Calltracks can integrate directly with your web analytics account and other 3rd party tools. 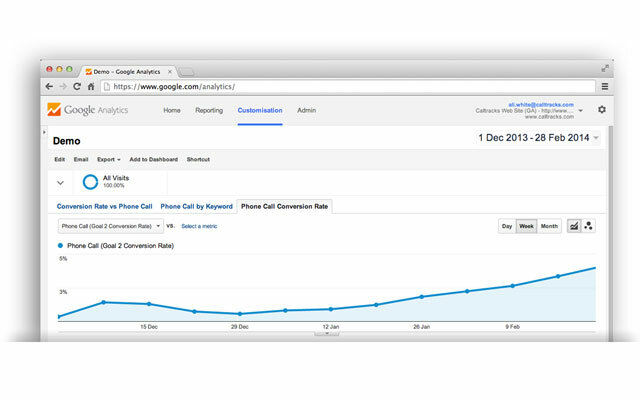 See which web visitors convert over the phone, including their behaviour on your website before, during and after they call you. 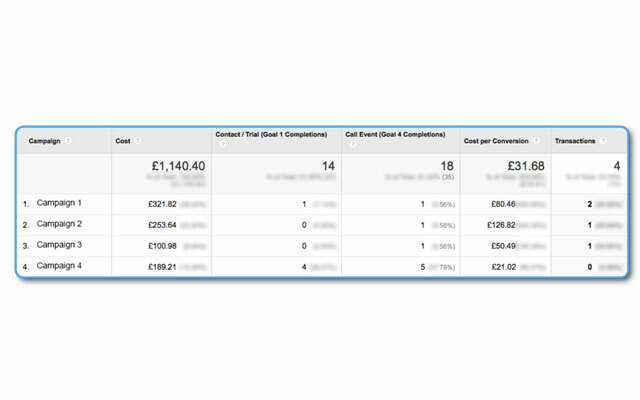 Phone calls can be viewed alongside other conversion metrics such as form fills and live chat requests to help you maximise your marketing and your website’s potential. Ultimately, Calltracks will allow you to optimise for revenue and not just for conversion – helping improve your profits and reduce wasted spend. Hi there! 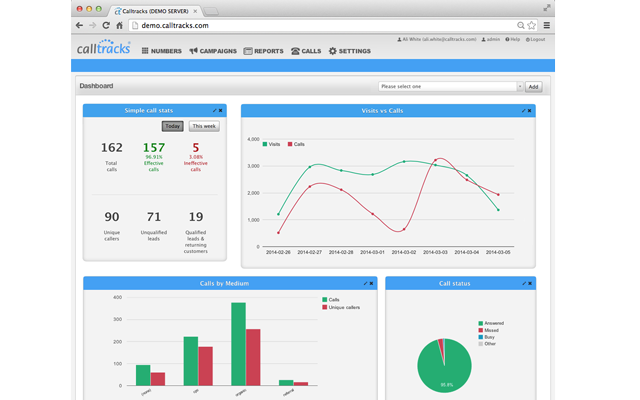 Are you looking to implement a solution like Calltracks?